According to the Tampa Bay Times, Florida’s bike fatality rate is the highest in the nation and, at 0.57 per 100,000 individuals, is more than double that of the nation’s overall biker fatality rate. Even more alarming is the fact that while the rest of the nation (save for Wyoming) has managed to decrease its number of biker fatalities, Florida has barely made a dent, with a decline of less than 10 percent where other states have seen a decline of nearly 50 percent. This continues to be true despite the measures the state itself has taken to reduce the number of biking casualties (which include widening the bike lanes), which begs the question: why, exactly, are the numbers remaining more or less the same? Lawmakers believe that lack of public safety education and lack of enforcement may be to blame. According to the Florida Department of Highway Safety and Motor Vehicles, motor vehicle operators in the state have a duty to bicyclists to “use extra caution when driving around bicyclists, motorcyclists, and commercial motor vehicles (CMV). In other words, the FLHSMV encourages operators to Share the Road. If a driver fails to share the road and performs a maneuver that results in the serious injury of a bicyclist, the driver may be at fault. Biking is a very dangerous activity, one that results in approximately 630 deaths and 51,000 reported injuries each year. Because many bicycle accidents involve at least one other motor vehicle, the injuries sustained in these accidents are generally very severe. Many biking accidents result in long-term disability, head injuries, concussion, or worse. Oftentimes, victims of biking accidents require extensive medical attention, ongoing therapy, and special accommodations. They are unable to work for extended periods of time, or to enjoy life as they once were able to. The costs of medical care and physical therapy can be expensive for anyone, but for someone who is unable to work, they become luxuries they cannot afford. However, medical care and therapy are not luxuries, they are necessities, ones that biking accident victims deserve to have paid for by the liable parties. Unfortunately, proving liability is not always easy. If you were injured in a bicycling accident in Florida, and if you believe that a negligent driver was to blame, reach out to the Tampa bicycle accident lawyers at Barbas, Nuñez, Sanders, Butler & Hovsepian today. Our attorneys understand the complexity of bicycle accident cases and what elements can make or break an injured biker’s case. Our goal is to help people like you gather the evidence necessary to prove that the driver of the motor vehicle was at fault, and that you were just an innocent biker who was abiding by the rules set forth in Florida Statute 316.2065. 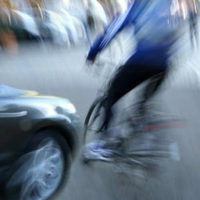 Though the Federal Highway Administration has been quoted as saying, “fault is difficult to determine in bicycle accident cases,” when you have the right legal team on your side, “difficult” does not mean “impossible.” There are several factors that can contribute to bicycle accident cases, including but not limited to drivers driving in the bike lane, drivers driving too closely, drivers leaving their doors ajar, drivers making sudden lane changes, drivers turning into the path of cyclists, and several other driver oversights. Our Tampa bicycle accident lawyers understand this, and we are willing to put in the legwork to determine the true cause of the accident and prove liability. If you were injured in a bicycle accident and if you believe that a vehicle operator’s negligence is to blame, contact our bicycle accident lawyers at Barbas, Nuñez, Sanders, Butler & Hovsepian. 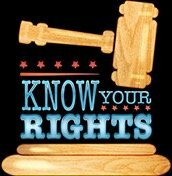 Just because the FHA believes that it is difficult to prove fault in a biking accident case does not mean that your rights are not worth fighting for. Call our law firm now to schedule your free and private consultation.